A perfect finishing touch to your seaside or beach themed wedding, our Oceans of Love Pen Set will look swimmingly on your guest book table. 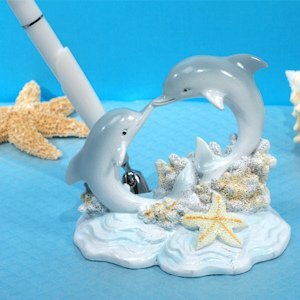 The base of this set features a pair of sculpted dolphins in the shape of a heart design accented with a wave of sky blue colors. The pen holder includes a pen to capture the signatures of your guests. 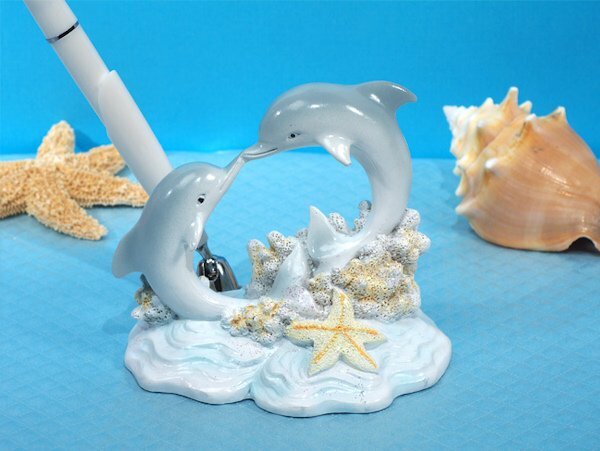 Packaged in a lovely gift box, the pen set measures approximately 8" high.